Hi! I'm Tom Hamilton, a Real Estate Pro in Oceanside, California. Call me at 1-888-Great-T.D. or 1-760-439-1345 for all your North San Diego County and South Orange County real estate needs, including commercial properties. 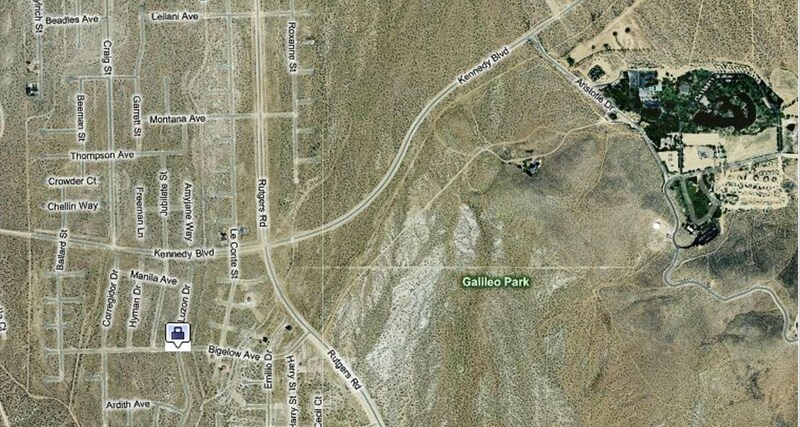 This flat ten (10) Acre lot (see lower left under pointer) is near the Silver Saddle Ranch & Club (upper right) in California City, CA. Previously zoned for a school, presently commercial. Solar OK. Residential zoning available if subdivided. Paved roads. Electric and water nearby.